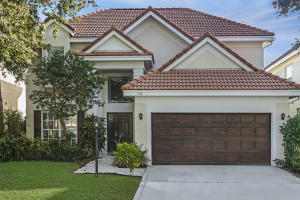 The spectacular community in Palm Beach Gardens named Sanctuary is everything that the name implies and more. Sanctuary has 184 phenomenal residences situated on spacious and lushly landscaped lots. These homes include two to five bedroom floor plans all including a two car garage and two stories. The community is securely gated and located on 30 pristine acres of preserve. Sanctuary takes pride in dedicating some of the land to maintain and provide natural habitats for indigenous species such as the Gopher Tortoise, Barred Owl, Wood Storks, and Osprey. All of these lovely homes are situated on a preserve lot or a lake view lot. Sanctuary is located close to many sensational shopping and dining options at the Gardens Mall, Downtown at the Gardens and Legacy Place. Palm Beach Gardens is also home to some of Floridas most gorgeous beaches and coastal parks which are just minutes away. Sanctuary in Palm Beach Gardens is really a wonderful location. The Palm Beach Gardens location is amazing. 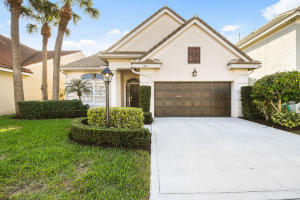 But, if this isn't the community for you, you might like one of the other local communities like Garden Oaks or Magnolia Bay or Evergrene that are located here as well.